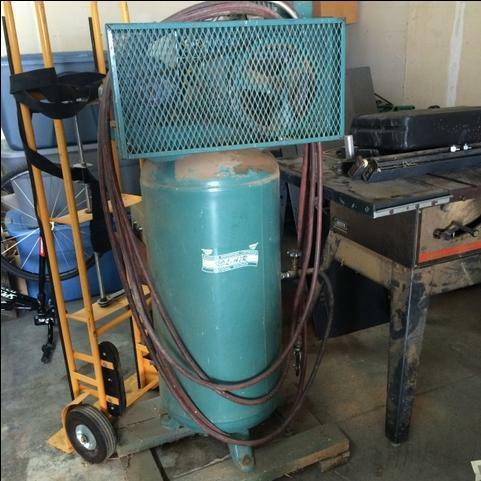 Rol-Air pancake air compressor 5hp 5cfm 5 gallon portable air compressor. Very quiet. Regulated. Rol-Air compressor. All the specifications are on the pictures listed. Rol Air 1.5 hp 9 gallon wheelbarrow compressor model 5715K17This compressor is 20 years old but has hardly been used for the last 12 years. I changed the oil and it still works great. Cash only.